The Museum celebrates it’s 100th Birthday! The building that houses the Valemount Museum is turning 100 years old in 2014. The historic building was originally built as a railway station, for the Swift Creek settlement. The settlement existed before Valemount, only 2km to the north along the train tracks. 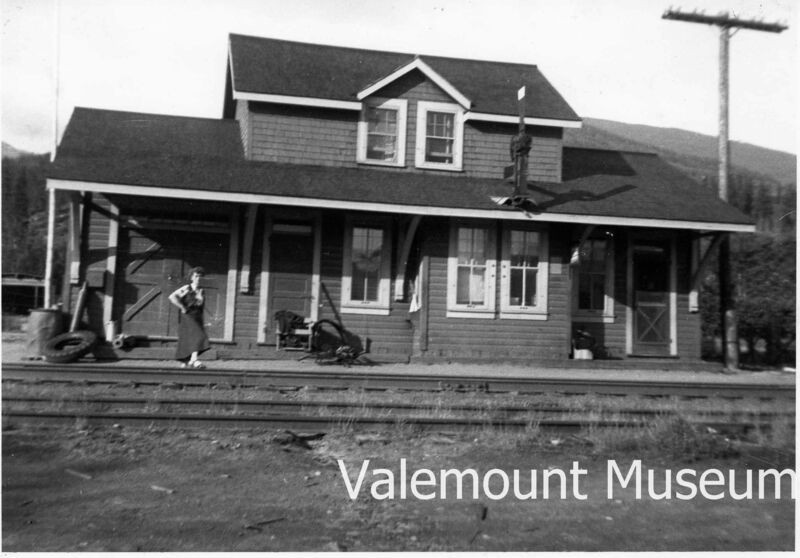 In 1927, when the town of Swift Creek ceased to exist, the CNR moved the station and renamed it Valemount. The names means “Valley in the Mountains”. The station was used by CN for Valemount until 1981, when it was finally closed permanently. The building sat abandoned and unkempt until 1987 when the Valemount Historic Society purchased it from CN. The Society organized an incredible volunteer workforce to move the building to the property on which it now sits. A 5-year restoration process to bring it back to it’s original charm took place after the move. To help celebrate our anniversary, we have create a lapel pin. Guests may purchase this pin online here, or in our gift shop. 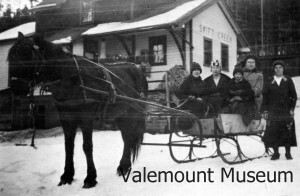 Please come to wish us a Happy Birthday this year and experience the beautiful and very historic Valemount Museum!